The Alsace wine route, located in eastern France, is a wonderful blend of fairytale towns and picturesque vineyards. 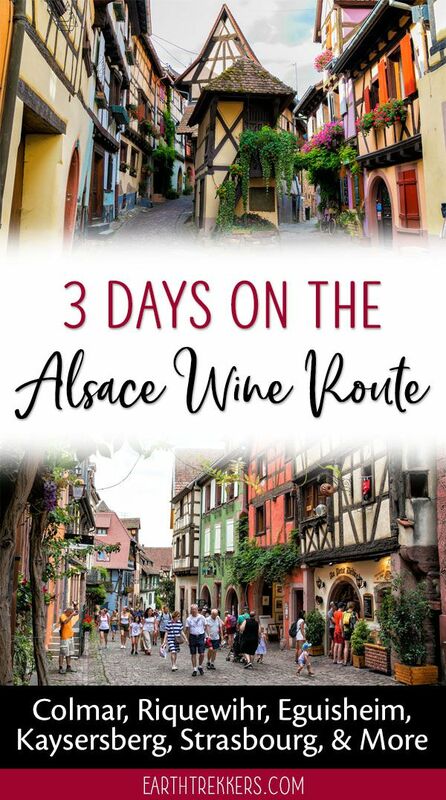 3 days on the Alsace wine route gives you enough time to visit a handful of these charming towns and to explore the countryside. The Alsace wine route stretches 170 km, starting near Strasbourg in the north and ending south of Colmar. Over seventy towns are located along the Alsace wine route. Of these seventy towns, about twenty of them make the list of top places to visit in the Alsace. 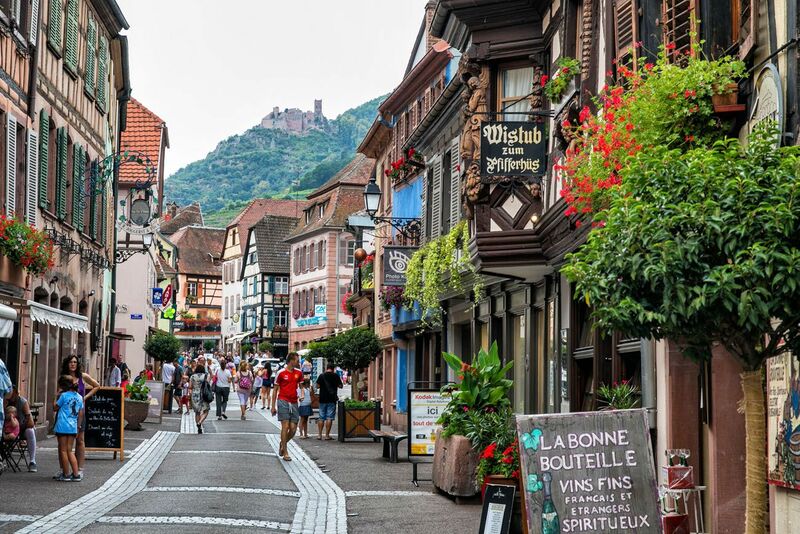 The Alsace wine route is where France meets Germany. The Alsace has changed hands several times between France and Germany and the architecture and the food reflect that. 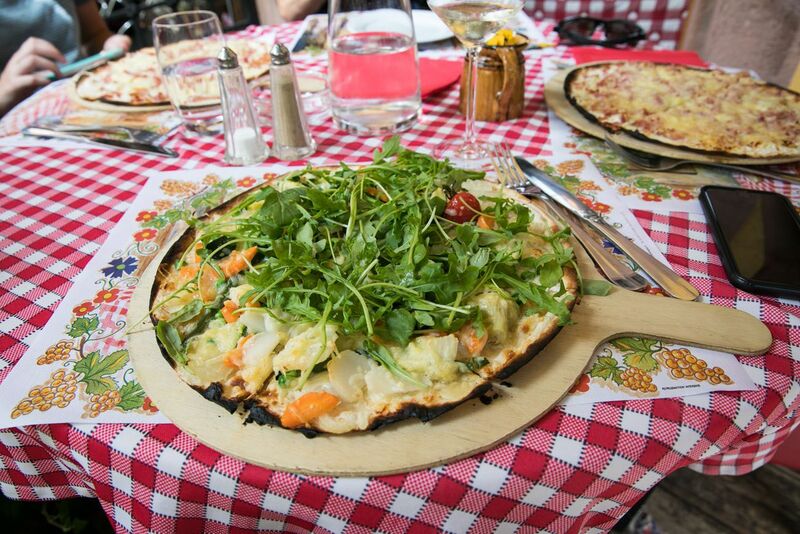 Alsatian food is a wonderful blend of German and French cuisine, with spaetzle, foie gras, tarte flambee, and baeckeoffe all making their way onto the local menus. This blend of French and German culture is also reflected in the architecture here. Colorful, half-timbered houses line cobblestoned streets. Add in adornments of flowers, whimsical decorations on the buildings, and charming street cafes, and it really does feel like you are walking around in a fairy tale. 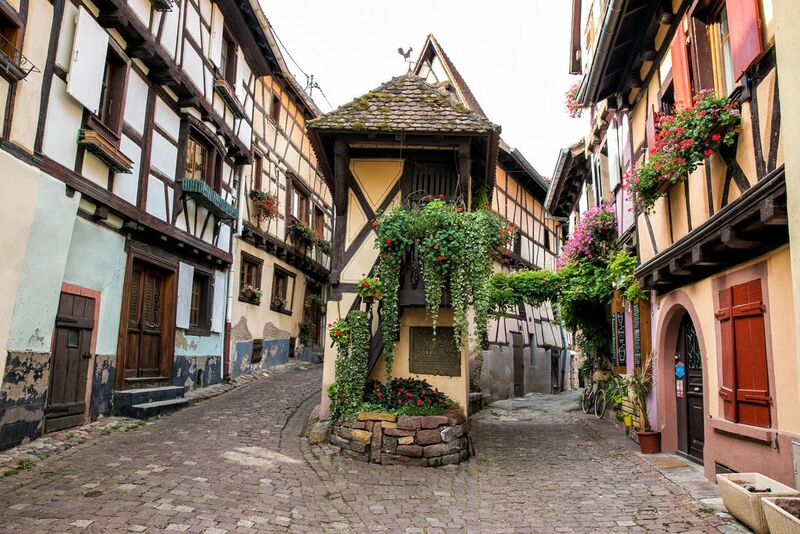 Without a doubt, the best thing to do along the Alsace wine route is to visit the enchanting towns. Most likely, photos of colorful buildings with flowers spilling out of window boxes is what first attracted your attention to this region. Most of the towns along the Alsace wine route are small. 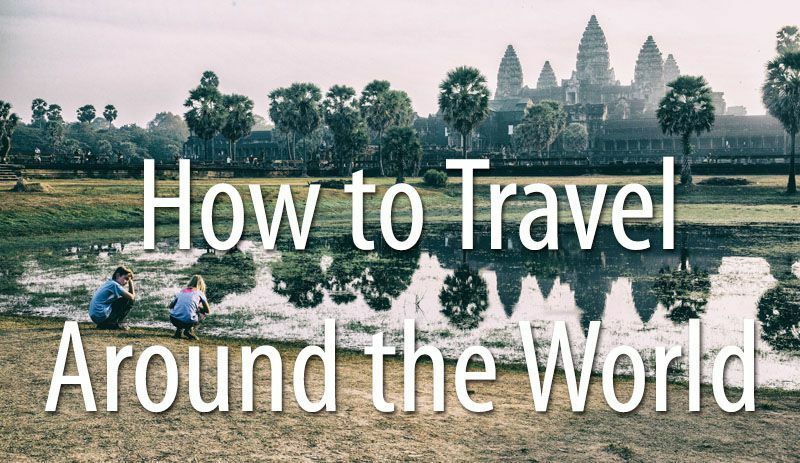 You can walk through many of them in just a few hours, or even less, as some are tiny. 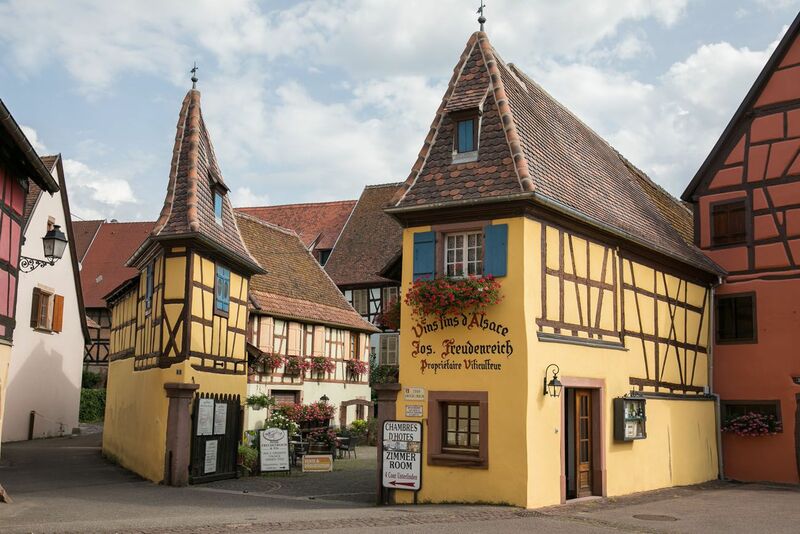 Exploring the cobblestoned streets was our favorite thing to do in the towns, but you can also go shopping, do wine tastings, and of course, dine on Alsatian food. 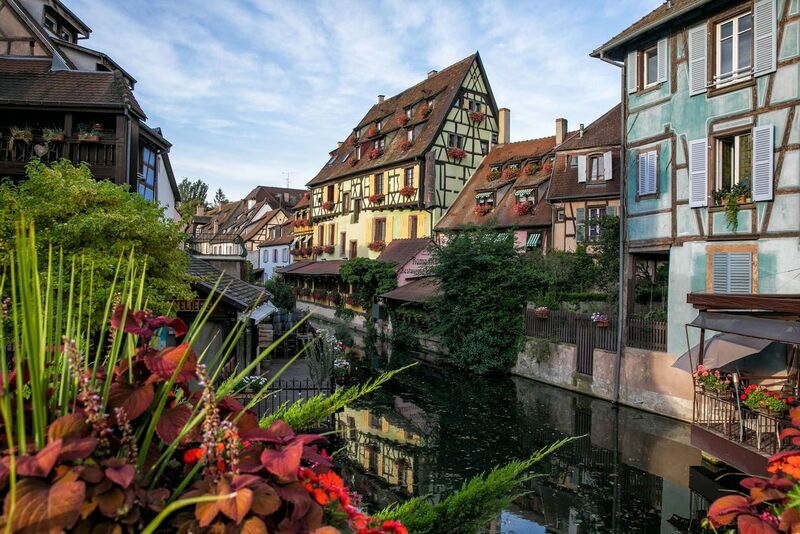 These towns can be found along the entire 170 km route, but the most popular and the most picturesque are located near Colmar, at the southern end. We spent 3 days on the Alsace wine route and visited twelve towns. All were very nice, but of course, we had our favorites. 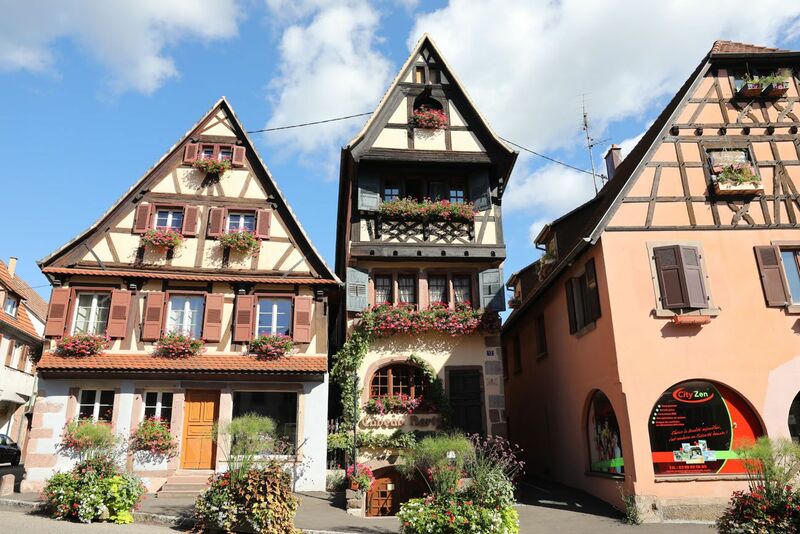 We loved Colmar, Eguisheim, Riquewihr, Ribeauville, and Bergheim. 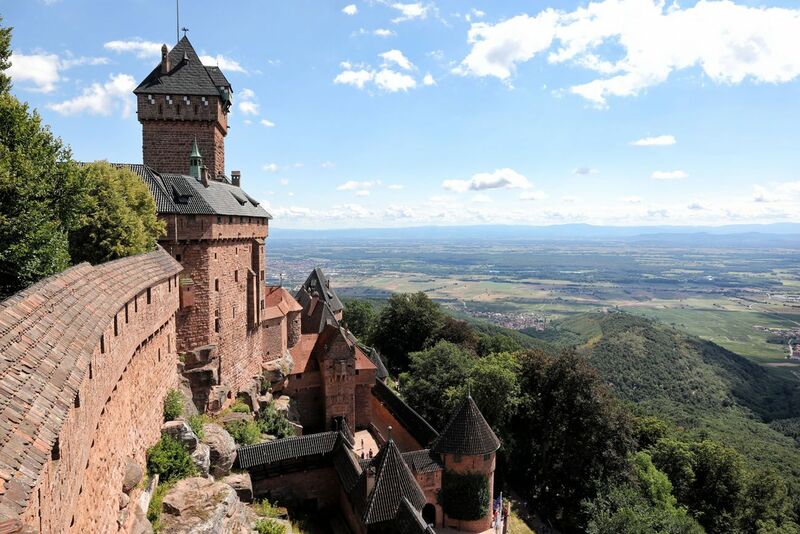 Chateau du Haut-Koenigsbourg is a medieval castle located in the Vosges Mountains. It is located near Kintzheim and Saint-Hippolyte on the Alsace wine route. This castle was destroyed during the Thirty Years Wars in the 17th century. The castle lay in ruins for 200 years. From 1900 to 1908, the castle was restored under the direction of the German emperor Wilhelm II. In 1919, the castle became French property with the signing of the Treaty of Versailles. Now, this castle attracts over 500,000 visitors every year. Hours: Hours vary by season. 9:15 am to 5:15 pm, longer hours during the summer months, shorter hours during the winter months. Visit the official website for the full listing. Pro Travel Tip: The castle tends to get very crowded midday. Get here at opening time to avoid the crowds. Over 1700 km of hiking trails wind their way through the Alsace wine region and the Vosges Mountains. 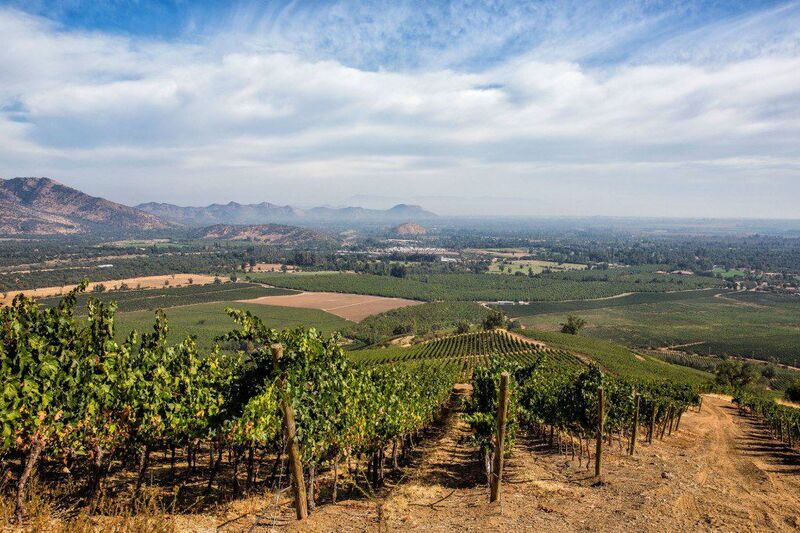 If you want to take a break from fairytale towns and wine tastings, put on your hiking shoes and hit the trails. Visit the Alsace Tourism website for more information. 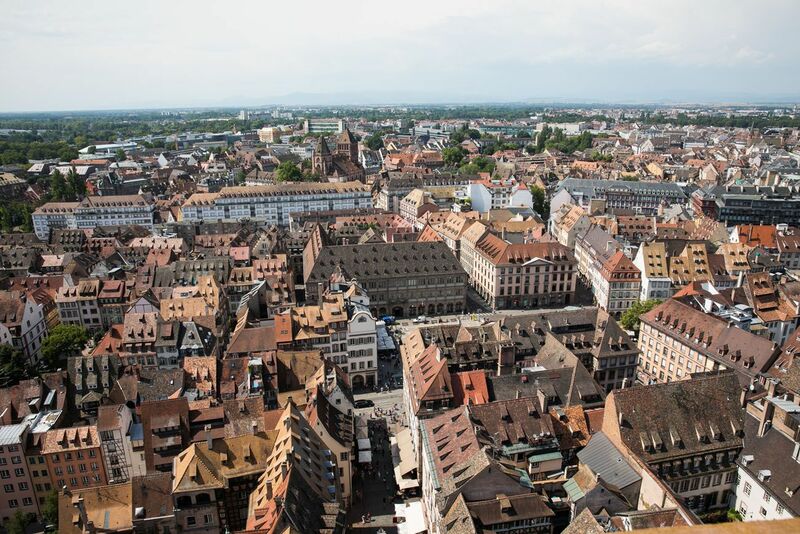 The two largest towns on the Alsace wine route are Strasbourg in the north and Colmar in the south. 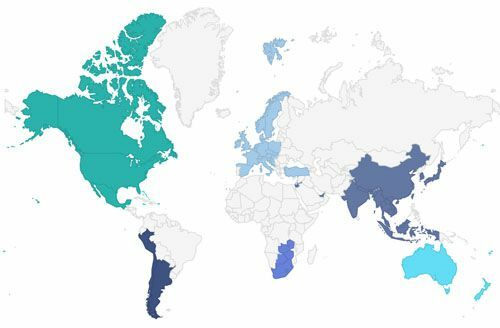 If you are traveling by plane or train, most likely you will arrive in one of these cities. Strasbourg has an airport and a large train station. 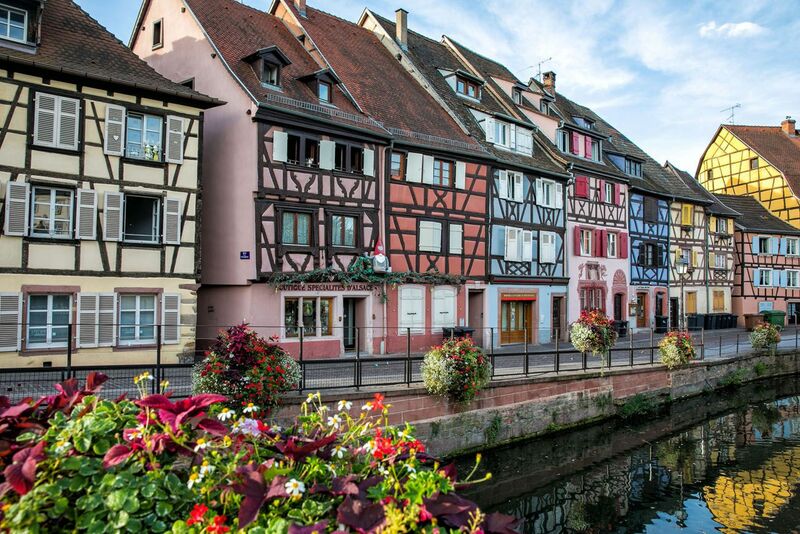 From Strasbourg, it takes 35 minutes by train and 1 hour by car to reach Colmar. Colmar has a train station but no airport. So, to get to Colmar, you will either have to take a train or drive. There is a high-speed train that connects Paris to Colmar in under 3 hours. Another option is Basel, Switzerland. Basel also has an airport, and from here, it is takes just 50 minutes to reach Colmar by train or car. The best way to get around the Alsace wine region is by car. 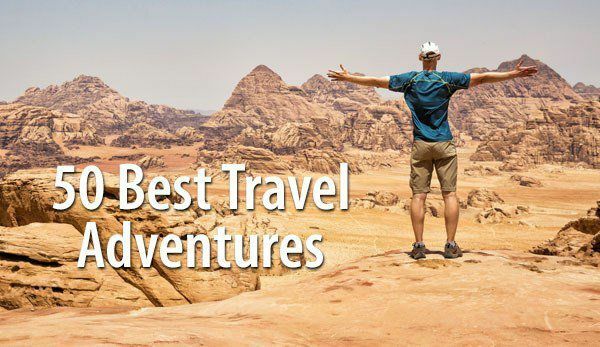 This gives you the most freedom and flexibility to day trip to the small towns. The cheapest way to do this is to arrive in Strasbourg or Colmar and then rent a car for the time that you will spend in the wine region. Return the car to same place to avoid paying a drop fee. By train, you can get to Colmar, Selestat and Strasbourg. The train does not travel to the small towns. It is possible to get around by bus. Visit the Alsace Tourism website for more information. It’s also possible to cycle through the wine region. Bike trails connect many of the towns, so if you like the idea of getting around by bicycle, it’s relatively easy to do here. Click here to learn more. 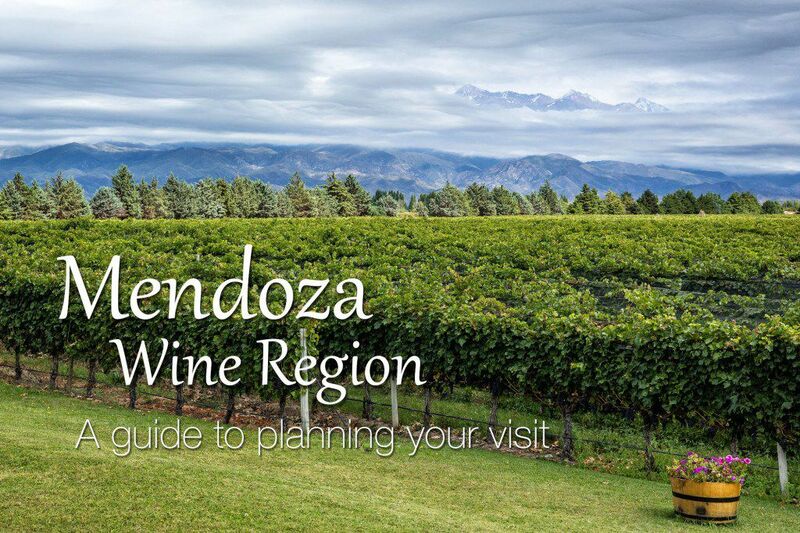 Since the wine route spans 170 km, with Strasbourg in the north and Colmar in the south, if you stay in one of these towns, you will do more driving than if you base yourself in the center of the route. Even so, Strasbourg and Colmar offer some advantages. 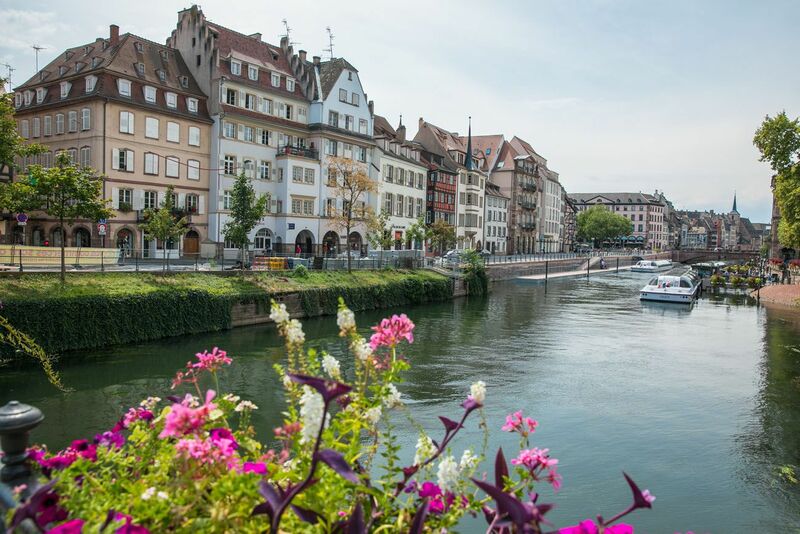 Since Strasbourg has an airport and train station, it is easy to get here and then it is easy to move on to your next destination once you are finished visiting the Alsace region. However, it is the largest town on the Alsace wine route. Really, it’s more like a small city. Parking can be a challenge and this city lacks the charm of the other towns on the Alsace wine route (in my opinion). It is also very easy to get to Colmar by train. 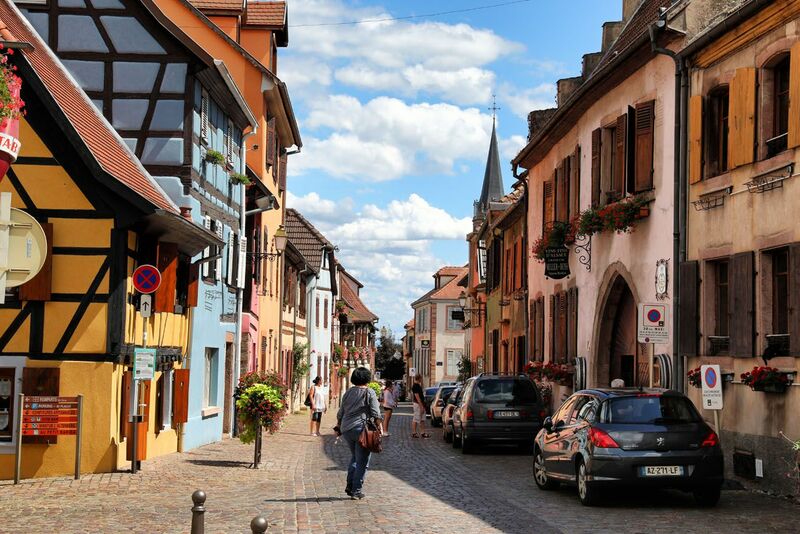 From Colmar, it is just a short drive to some of the best towns on the Alsace wine route. And Colmar itself is a great little town filled with lots of great restaurants. Sure, it will be a longer drive to get to the northern towns, but that may be worth it. We stayed in Colmar and loved it. In the mornings Colmar was very quiet and I loved walking the streets and going to the bakeries for fresh pastries and coffee. There was plenty of parking in town so having a rental car was not a hassle. To find out where we stayed and to get hotel recommendations in Colmar, read our article One Perfect Day in Colmar. Colmar is a very popular spot on the Alsace wine route so it will be crowded midday and accommodations can sell out during the peak seasons. If you like the idea of staying in a town that is quieter and “less busy,” take your pick from towns like Kaysersberg, Bergheim, Dambach-la-Ville, or Ribeauville. 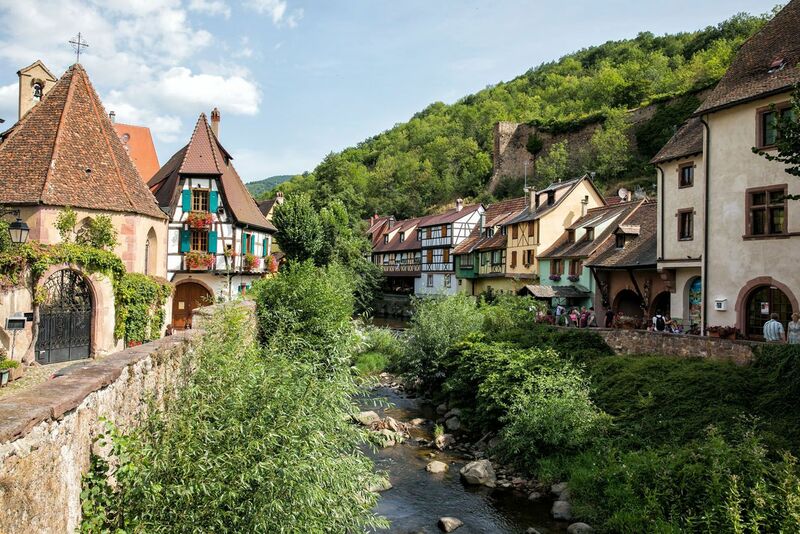 For the best experience, plan to spend at least 3 days on the Alsace wine route. This gives you enough time to day trip to the towns, dine on the Alsatian food, go on wine tastings, and truly experience this region. During our visit, we typically visited four towns per day. Four towns per day is a lot and it did feel rushed. However, we wanted to see as much as we could so we could gather information for this article. Even though we saw a lot, it left us feeling exhausted by the end of our visit. I recommend keeping your visit to three towns per day and savoring the experience rather than racing through each town just to see as much as possible. Here’s how I recommend you plan your time. Arrive in the first town by 9 am. The streets will still be quiet and uncrowded. 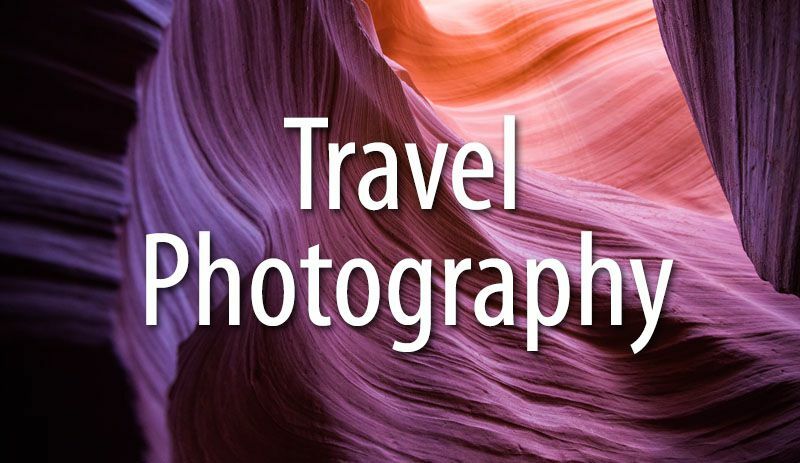 If you are into photography or just want to capture these colorful, cobblestoned lanes crowd free, this is the best time to do it. You could stroll through town and then visit a bakery or coffee shop for a mid-morning snack. Eguisheim is a great town to visit first thing in the morning. I took this photo along Rue de Rempart around 9 am. 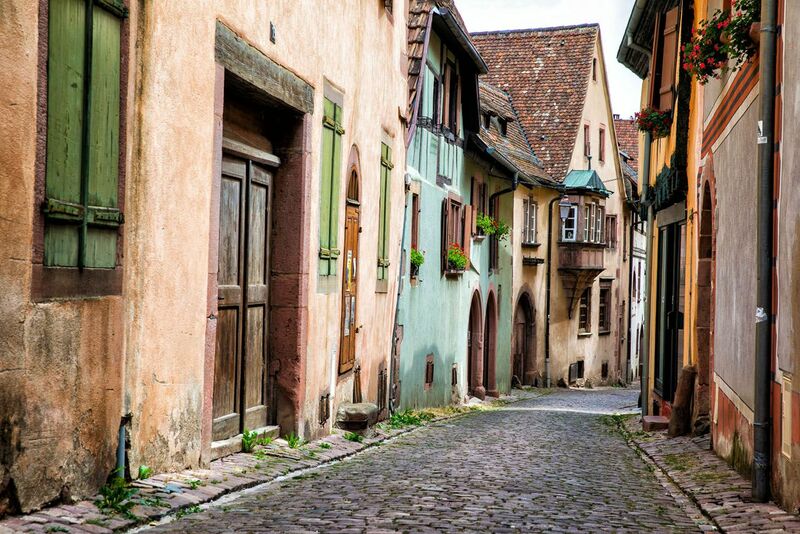 Colmar, Riquewihr, and Kaysersberg also make nice towns to visit first thing in the morning, if you want to capture the streets crowd-free. Spend the middle part of the day in the second town. Have a leisurely lunch, go shopping, take your time exploring the town. Spend the afternoon in town #3. Have dinner here or in the town where you are staying. Some towns feel like ghost towns before noon. During our visit, Rosheim, Kintzheim, and Dambach-la-Ville felt like this. 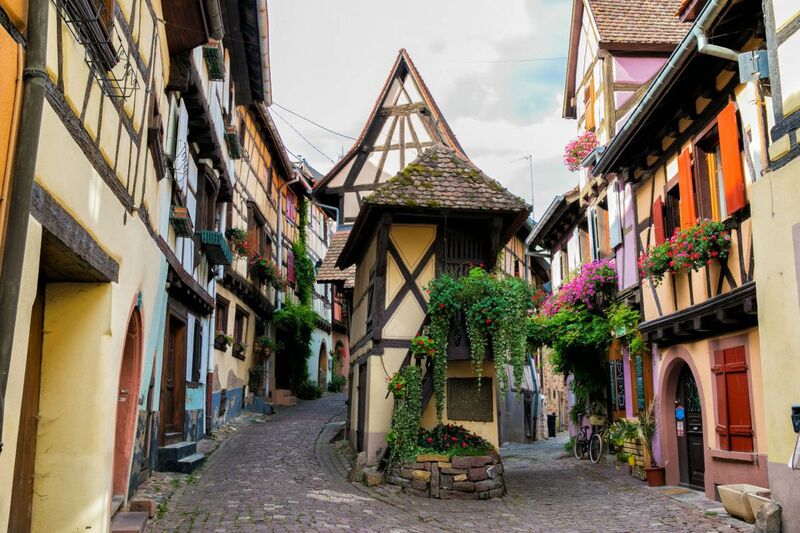 They still are nice to visit in the morning, but these quieter towns may be better to visit in the afternoons, when other towns like Colmar, Riquewihr, and Eguisheim are packed with visitors. If you want to visit Chateau du Haut – Koenigsbourg, do this at opening time. Like the more popular towns, this castle gets very crowded midday. 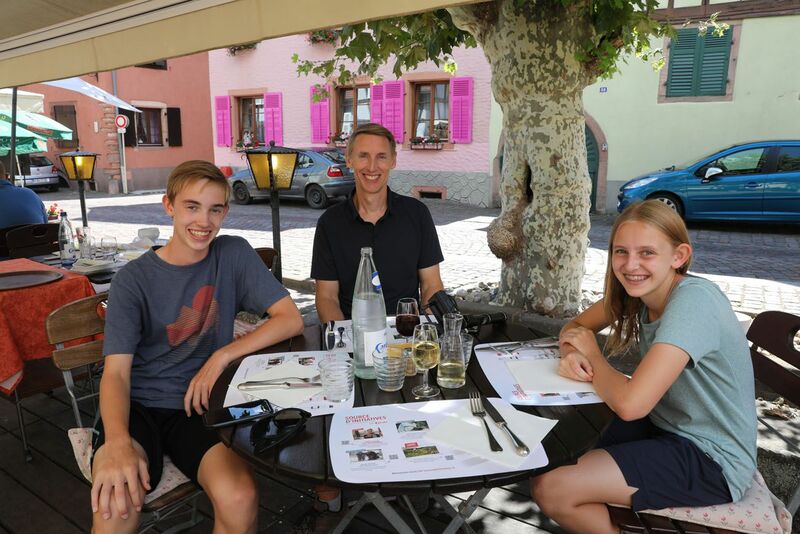 One of our favorite experiences was lunch at Auberge des Lavandieres in Bergheim. This lovely little town is more of a “local” spot so it feels gloriously quiet compared to Riquewihr and Colmar. You could have lunch here after visiting Chateau du Haut – Koenigsburg. Make all of your dinner reservations in advance. If you are visiting the Alsace wine region during peak season, it will be almost impossible to get seated at a restaurant for dinner without a reservation. At least that was our experience in Colmar in August. Getting seated for lunch was much easier. Most towns have parking lots located just outside of the city center. There will be signs for parking as you approach the town. Many parking lots have automated pay booths where you pay a few euros and then enter in the license plate number of your rental car. So, make sure you have spare change for these pay booths. There are many different ways to plan your time, but here is what we did. 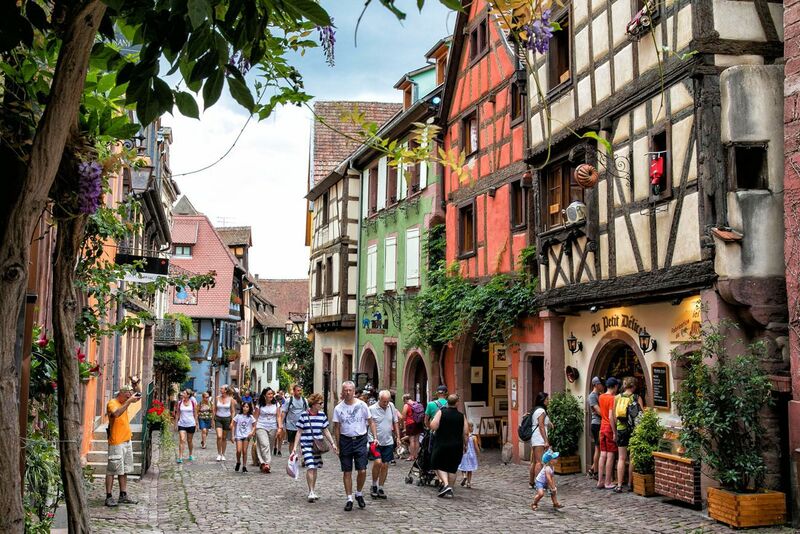 We would spend the beginning and end of each day walking through lovely Colmar. 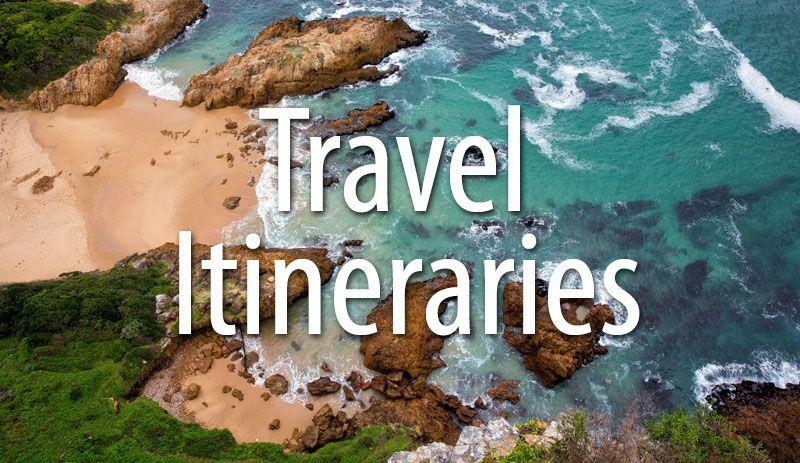 This looks like a fast itinerary, and it is, but we only spent an hour (or less) in some towns: Dambach-la-Ville, Kintzheim, Rosheim, and Saint – Hippolyte all fall into this category. 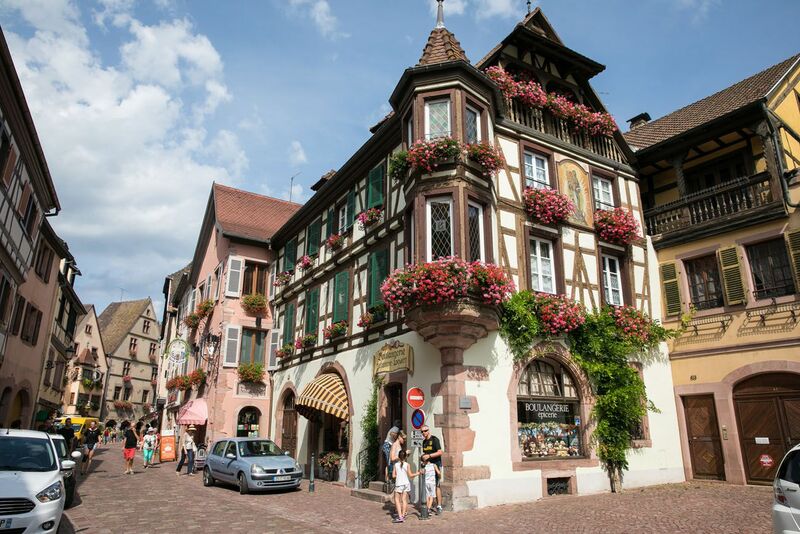 You could spend hours in Kaysersberg, Riquewihr, Eguisheim, and Strasbourg. And there is enough to do in Colmar to keep you busy all day. Even with three very busy days, we did not get to all of the towns along the Alsace wine route. 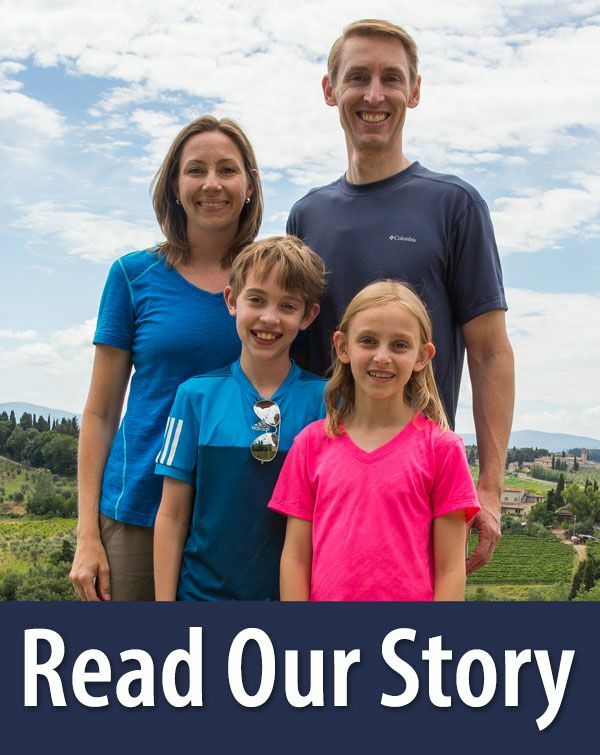 Other towns that we heard wonderful things about are Turckheim, Barr, and Hunawihr. 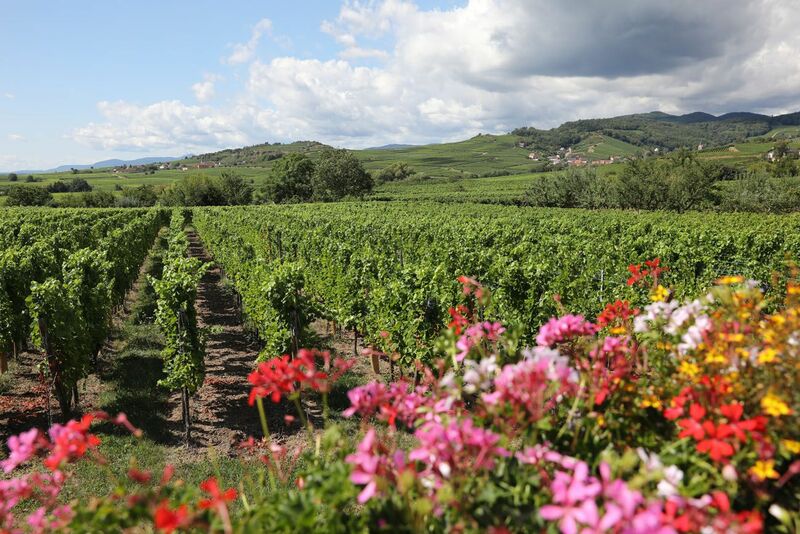 The Alsace Wine Region can be visited year-round. However, if you get your timing right, you can visit the Alsace during one of its many festive seasons. 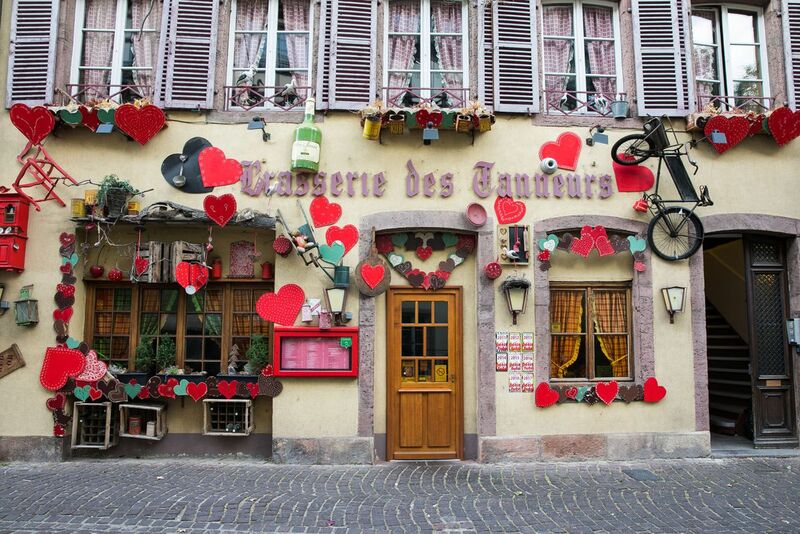 From late March through early April, Colmar is decorated for Easter and you can go shopping at the Easter markets. In early July, classical musical artists perform at the Colmar International Festival. 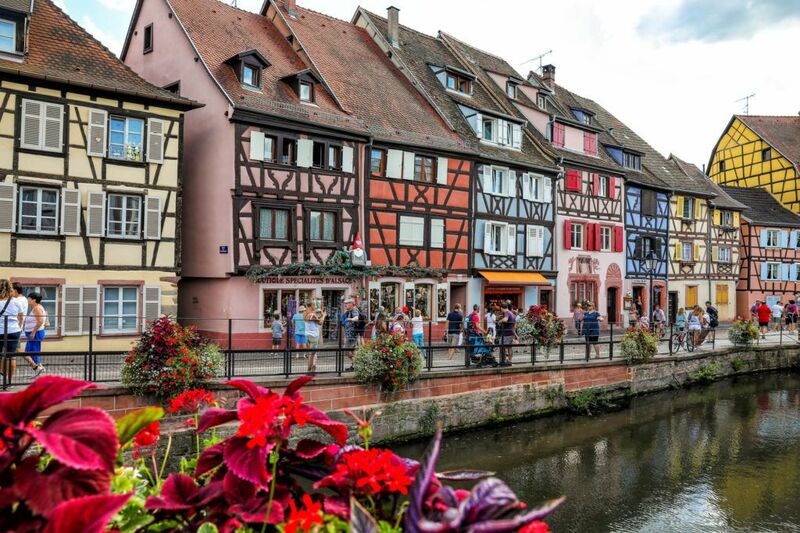 At the end of July into early August, Colmar hosts the Alsace Wine Fair. And finally, the streets in Colmar fill with smalls shops and decorations during the Christmas market season. The busiest times to visit the Alsace are during the summer months and from late November through December, when it is the Christmas market season. If you want to avoid the crowds, visit the Alsace Wine Route in late winter and early spring, in between New Year’s and Easter. Late spring and early fall are also nice times to visit. This is the shoulder season so crowds and hotels prices are lower. 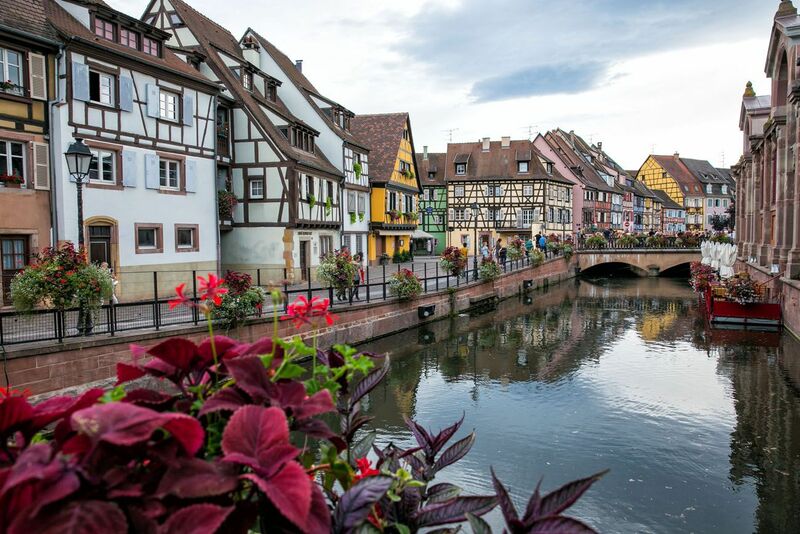 If you have 7 to 10 days available and are looking for a nice vacation idea, consider spending 3 days in Paris and 3 days in the Alsace wine region. Travel from Paris to Colmar by train in under 3 hours. Once in town, rent a car for a few days and road trip through the region. Return to Paris by train (or continue on to somewhere new…Zurich and Lucerne, Switzerland are another quick train ride away) and fly home from Paris. If you are planning a trip to the Alsace Wine Region and have any questions, comment below. 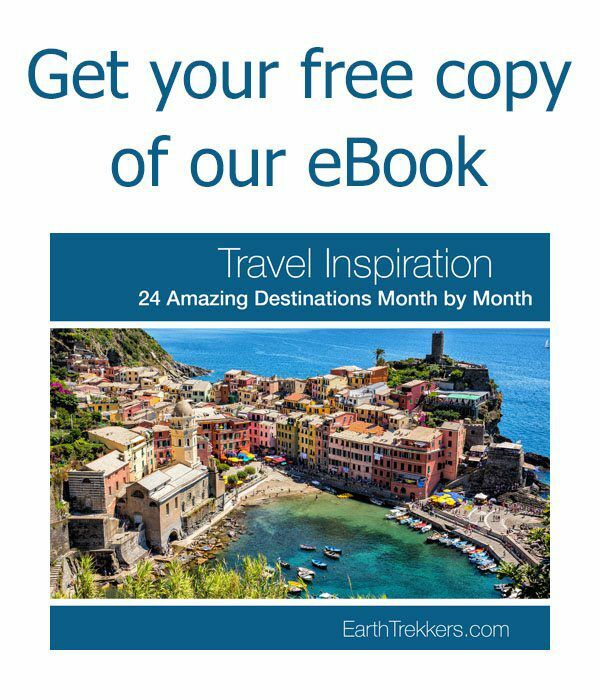 Planning a trip to France? Read all of our articles in our France Destination Guide.